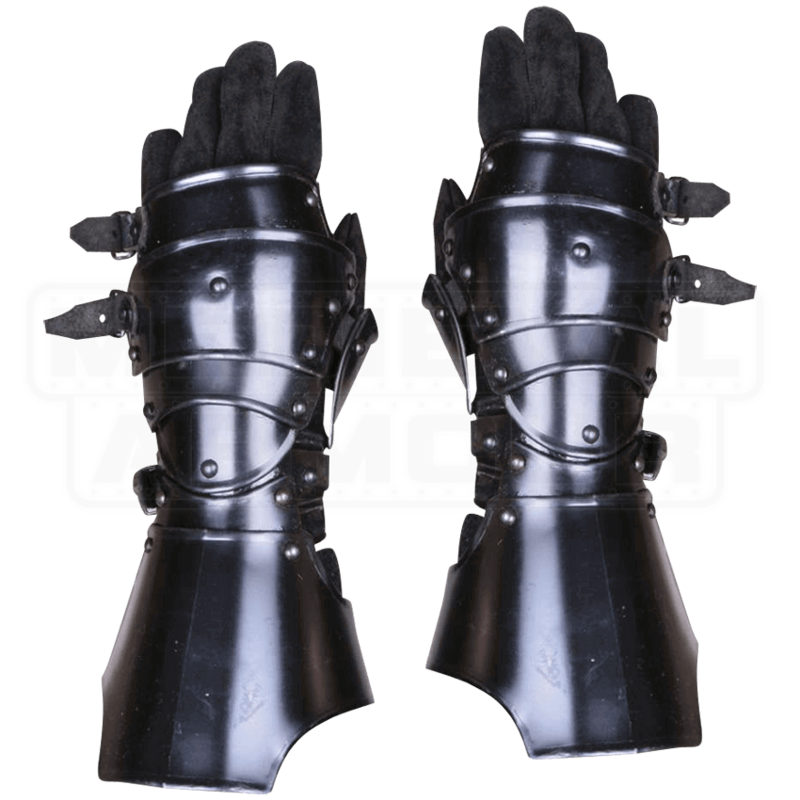 Perfectly suited for all manner of dark warlords, the Blackened Markward Gauntlets offer great hand and wrist protection. Featuring integrated cuffs, these 18 gauge steel gauntlets are made of six pieces and allow for full wrist rotation as well as complete coverage. The blackened steel finish guards the armour from rust and adds style to any medieval look. 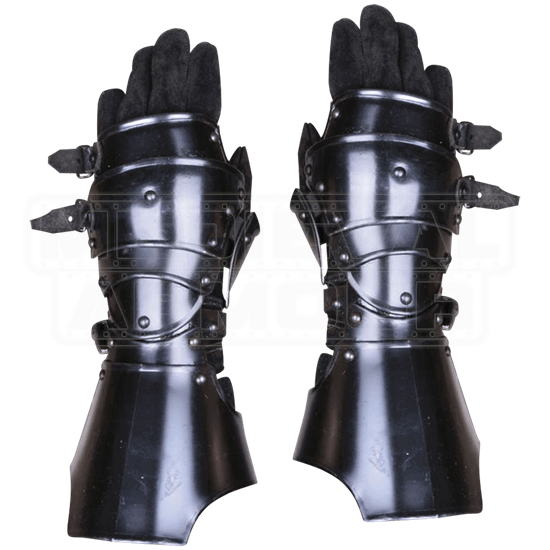 These gauntlets are well suited for LARP as well as light historical reenactment. They are secured to the wearer with sturdy leather straps and are best worn over protective gloves.